You may have heard of the aphorism refer “pain in the neck,” often referring to something or someone is that is causing you irritation and discomfort, but as a person who suffers from neck pain will tell you, there is nothing minor about the debilitating illness that impacts their health and quality of life. It’s much more than a small annoyance. If you have ever suffered from neck pain or have it now, you know how critical it can be to get immediate relief. In this article, we will talk about what causes neck pain and how to get the needed relief. If you are someone who suffered from chronic muscle or tendon pain by coping with a condition such as tendonitis, you may know how it feels to suffer from pulling a muscle every other month. Sometimes the severity could leave you helpless in bed unable to move for days. Some people suffer from chronic muscle pain for years. Often people who are bedridden will pain will also have neck pain. Neck pain could be prompt by lying in the wrong position or even sneezing. We will talk about these experiences and what you can do to improve your condition. Today, about one-third of Americans suffer from some form of chronic shoulder or neck pain. Unfortunately, these numbers are projected to rise as more people use cell phones and computers, along with other devices, during more extended portions of the day, due to the changing nature of work. These devices force us to cane our necks forward for much of the day than we ever have in history. Historically older people have been the primary sufferers of shoulder and neck pain, however medical professionals, clinics, and hospitals are all seeing a rise in younger patients who are complaining about neck and shoulder pain. The daily composure and poor posture that people have while working on their computers and smartphones are affecting not only working professionals but small children and teenagers. This is an issue that parents and guardians should be more aware of and manage with their children. Since many cases of neck pain are linked to poor posture, it can be challenging to recognize the underlying causes of pain. Often people are unsure what they have, for example, some patients may come in with what they assume is shoulder pain when it’s found out to be caused by neck muscles and tendons. The mental signals that indicate strain in the body can be unreliable because shoulder and neck pain commonly will overlap. The fact that neck pain can cause headaches can also make it difficult for patients to isolate the origin of wear pain is radiating from. 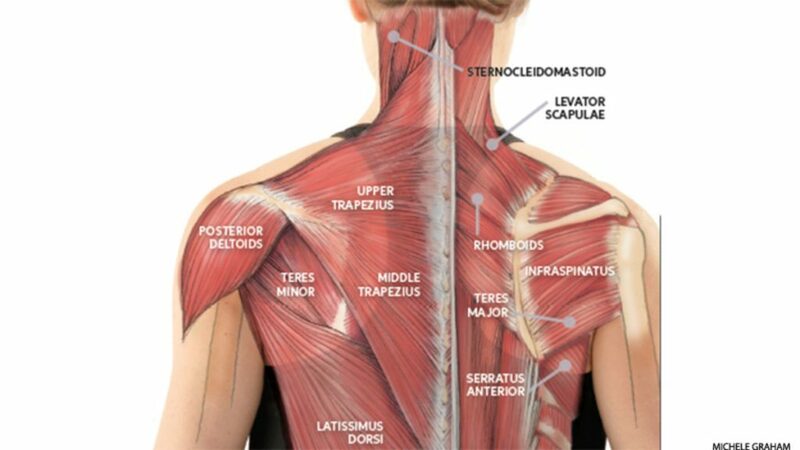 Anatomy of the neck and shoulders Having a basic understanding of how the body functions and different body parts can help you be smarter about managing your condition and discovering treatment options that work most effectively for you. By design the neck allows us to turn our head in all directions (up, down, right, left), however with flexibility are collars are not the most stable. Possibly to balance this, the muscles in the neck are some of the quickest, most powerful muscles in the body, and have some of the highest endurance levels of any muscles. 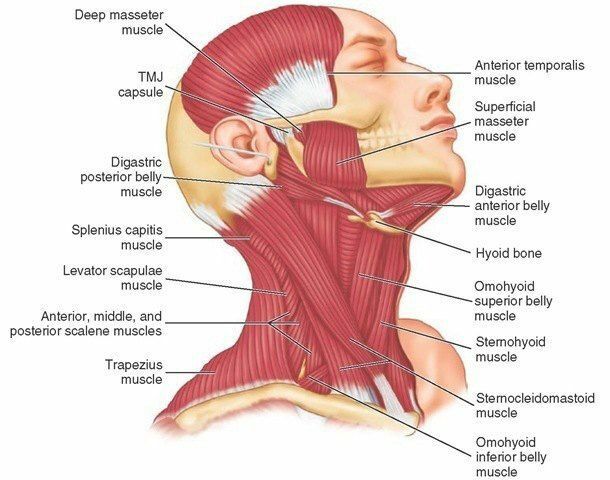 The muscles of the head and neck regulation is central to conducting daily routine tasks such as producing facial expressions, talking, eating (chewing and swallowing) as well as being responsible for some eye movement. The neck and shoulders are positioned in such a way that they are exclusively reliant on balance and alignment between the muscles tendons and fascia that attach them while permitting for movement. Posture is Critical for Alignment. Today it’s much more prevalent to have poor posture than good posture. Most people begin to form lousy position at earlier ages considering the high levels of technology usage. But there are ways to correct your posture. Let’s first take a how the neck is designed. The neck is made of durable and resilient muscles adjoining the neck. The bones of the chest and upper back function together to form a sturdy, protective cage surrounding the vital thoracic tissues and organs like the heart and lungs. This sturdy cage is the secures our neck, shoulders, and head and is composed of strong muscles intended to shield those vital organs and vulnerable systems in our bodies. The collarbone (clavicle), cervical spine, and shoulder blade (scapula, or scrap) encompasses the skeletal framework of the neck and shoulders. Seven bones shape the neck arranged one on top of the other. 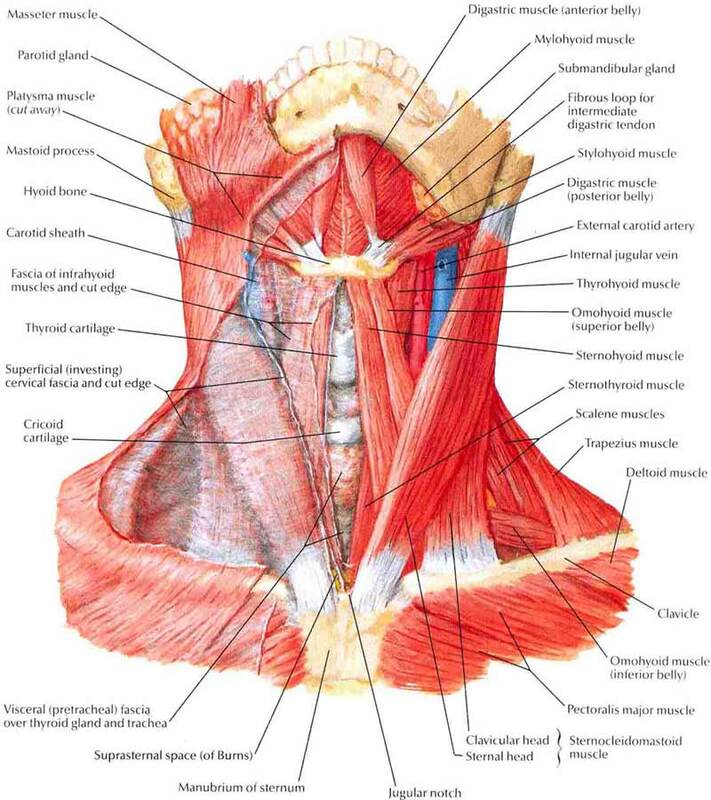 The trapezius (traps), levator scapulae, scalene and the sternocleidomastoid (SCM) muscles develop the muscular structure of the neck and shoulders. These upper back, shoulder and neck muscles extend in all directions which grants greater range of motion and mobility in the shoulders and neck. When poor posture, injury, or trauma disrupt the balance between muscles and fascia, bones are forced out of position, causing muscles to spasm, the range of motion to be restricted and pain to form as cervical and other nerves are impacted. The Centers for Disease Control and Prevention stated that almost 20 percent of us had encountered neck pain during the last three months. Poor posture: Now, poor posture is often described as “nerd or text neck” since so many of us spend so many hours looking down at one device or another. A recent research piece revealed that 79% of those between the age of 18 and 44 possess their cell phone on them nearly non-stop with only two hours of the conscious day spent without holding the cell phone. Staring down at your tablet or phone has been an inescapable result. To protect the neck from the repeated strain of bad posture, your neck muscles strengthen into tough bands, creating fatigue, spasms, and contractions, chronic pain adjacent to the ridge of the shoulder blades and neck. The tendency toward poor posture in the upper back from slumping and rounding the shoulders is very controllable, simple enough and essential enough to correct. When we slouch, our shoulder blades slide away from the spine causing overstretching and weakened muscles, especially the pectoralis muscles.Good posture sometimes demands that you make a conscious correction for only a short time, and once your mind-body adapt and normalize the position, a good habit is created helping to reduce the chance of neck or back pain. • Make sure your work setup enables you to look forward to any display screen screens you use, not down. For work, you may want to consider utilizing a standing desk. This tends to help. • When using your phone, bring it up to the front of your face when possible, try to avoid looking down at it. • Practice frequent breaks from your devices, just because you have to work don’t forget to move and keep circulation flowing, try to walk around at least every 20 minutes. Soft tissue Trauma/Injury: Tendons, ligaments, and muscles, in the shoulder and neck area are predisposed to harm from whiplash and other shock damage. These injuries can range in severity and be acute occurring for one period or become chronic. Degenerative diseases/arthritis/degenerative disc disease: Inflammation in joints is painful and restricts movement and mobility, however, it’s crucial to employ exercise as medicine with arthritis, and degenerative disc conditions, research says. Joints need the flexion caused by proper training to stay healthy, but an abnormal movement is uncomfortable, so people living with arthritis are likely to err on the wrong side and limit movement excessively causing the stiffness worse. Radiculopathy/Pinched Nerves / / Thoracic Outlet Syndrome: The tingling, pain, and numbness from a nerve becoming irritated and compressed can be triggered by physical overexertion or one of many medical conditions, so having the doctor discover the underlying cause will be helpful. This condition reacts well to exercise and physical therapy. Fractures: Also referred to as a broken neck, this happens when one of the seven cervical vertebrae are usually shattered by the outcome of high-energy trauma such as a fall or car accident. These accidents can have grave consequences since the nerves operating through the neck can be affected or impaired. The first step to take if you assume a fracture is to stop movement immediately – you must immobilize the neck until you receive medical assistance -your physician will be able to review x-rays to determine what happened. Treatment can extend from bearing a cervical brace for 60 weeks to spending 90 days in an inflexible cast or some combination of those treatments. Eventually, physical therapy and bodywork will assist a full recovery. Medical conditions: It’s uncommon but likely for a medical condition to transfer pain up into the shoulder and neck area. Discuss with your physician if no other reason for neck and shoulder pain is known. Relieving pain, tension and stiffness in the neck can extend from simple, short-term therapies, such as RICE, or over-the-counter pain remedies, to long-term, continuous treatments, such as myofascial release, or regular exercises to keep the neck structure flexible. We all know the ever-increasing perils of prescription drugs such as opioid pain relievers, so we are better off with other treatments options. Myofascial release: Massaging the neck regularly goes a long way in reducing pain, stiffness, and restricted mobility. It’s hard to do on your by yourself, so you will need to find medical/therapeutic help. Cervical traction: This neck stretch often conducted by osteopaths and other physical therapists. The goal of neck traction whether done with a therapists hands, a towel or a unique device is decompression of the vertebrae. Light Therapy: Photo-biostimulation is a non-invasive therapy using light or near-infrared light energy that causes tissues in the body t exhibit specific complex biochemical responses, actually improving the injured tissues. The technology is being utilized in the form of lasers and LEDs by sports medicine specialists, physiotherapists, and physical therapists to treat a wide variety of acute and chronic musculoskeletal injuries and pain. Neck Pain Exercises: Exercise is medication. More and more we are going to doctors refer neck pain sufferers to physical therapists, personal trainers and fitness specialists for therapy in relieving symptoms. The reason it works work is due to – the body is designed for motion! Grounding: There is nothing new about the advantages of mixing with the earth, except that now we have scientific proof of its merits. We all need to ‘get back to nature’ to improve our overall well-being, as well as treat pain. Microcurrent: electromedical devices are a practical, non-invasive pain therapy that can be used as often as needed and provide considerable relief. Applying electrical stimulation to treat pain dates back to Ancient Rome, when they would stand on electrical fish at the seashore; thankfully, the method has dramatically improved, but even Benjamin Franklin endorsed the use of electrical stimulation to treat pain. It’s the future of medicine (and yes I use it too). Watsu: This aquatic therapy is a somewhat new therapy administered by a certified practitioner who holds the body in place as if she or he helps move and stretch it through the water. If you are fortuitous enough to have a Watsu practitioner in your area, check it out to see if you’d like it. If not, just floating within a pool of water or even your bathtub can offer relief. The best treatment for neck pain is prevention. The Exercise Sports Science of Australia (ESSA) asserts that we should not be sedentary (Stationary, sitting without movement) for more than half an hour at a time. Putting yourself in a particular position for an extended period develops pressure on your spine and reduces mobility. If you need the use of technology all day, take “micro-breaks” every 15-20 minutes. Lift your head up and stretch, to get your neck, shoulders, and back moving. Research has shown that people who take these micro-breaks are 21% less prone to experience neck and shoulder pain. Keep conscious of what your body is telling to maintain the health and well-being of your spine and help limit further postural issues from starting. Address any ergonomic concerns whether at work with your desk, at home, bedroom, or in your living space. Finally, if your shoulders and back are cramping, you’ll have a difficult time reducing neck pain since your back muscles will be tugging on your neck. The body is an integrated system, and we need to manage the whole wellness body when we run into trouble.